Book trailers are increasingly important marketing tools for authors. So how do you go about making one? Sam Hepburn chose 15-year-old film student George O’Regan to create the trailer for her latest YA crime novel, Chasing the Dark. Sandra Greaves talks to them both about the fine art of trailer-making. 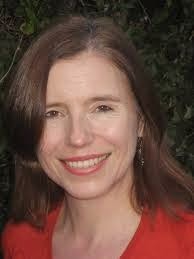 ‘Publishers really like trailers,’ says Sam Hepburn (who also writes as Sam Osman). ‘And if you go into schools and talk to reluctant boy readers, having a video really helps.’ That’s especially true if the video happens to be made by a teenage boy. Sam and George now even get asked to do double-act talks on the book and the trailer together. It helped that Sam has a television background as both director and executive producer – there’s not much she doesn’t know about film-making. So why didn’t she make her trailer herself? Sam chose to be there throughout the two nights of filming too, though motherly fears may have played a role there. ‘I took them down to the mean streets of Raynes Park because I didn’t think it was a good idea to have them wandering round London with camera equipment on their own at night,’ she says. Other impressive effects in the trailer turn out to be surprisingly low-tech. ‘There’s a shot of bright lights with words underneath and George literally did that by waving a torch around at night in the garden,’ says Sam. The film also includes still images Sam had collected for research in the course of writing the book. ‘It’s a very layered piece of work,’ she says. Finally the voiceover was done by George himself – he’d originally intended to use an actor, but Sam liked the raw tone of his guide track so much that she decided to keep it. 1. Don’t tell the story - go for atmosphere. 2. Make it a bit different from everyone else’s. 3. Don’t aim for a mini-drama and don’t show the face of the protagonist. ‘The reader has an idea of what the protagonist should look like and it’s not the same for everyone,’ says George. 4. Be as clear as you can and do a storyboard so you won’t be disappointed. 5. Try to get really high production values. 6. Do a recce beforehand. 9. Split the tracks so you don’t mix sound and music. ‘If you get a foreign deal, you can just hand them the trailer and get them to revoice it,’ says Sam. 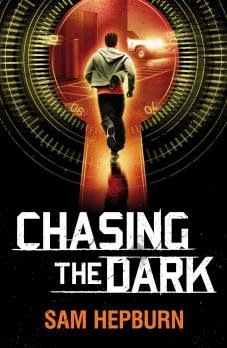 Chasing the Dark, published by Chicken House, is a crime mystery about a 14-year-old boy who turns detective when his mother is killed in a car crash. Click here to watch Sam’s video. For more background on how the film was shot, take a look at George’s behind-the-scenes footage from around 1:35 here. Sandra Greaves’s trailer for her Dartmoor-based ghost story The Skull in the Wood was made by a friend, TV and film director Ita FitzGerald. Both trailers do a great job of selling the books, they're so atmospheric - I'd like them to be longer, but then that's the point - to get more, you have to read the book! Very useful article, Sandra, thank you. Great advice, Sandra, and so useful to see George's PoV alongside the trailer. Clears the mists behind the techno-wizardry (or does that show my age?) Thanks very much to all contributors. Great trailers - love the editing!